If you are a sports fan or just know one, you know a fan’s passion for his or her team and favorite sport runs deep. Trust me, I am a sports widow whose husband lives for his teams. The growth of social media has given these rabid fans – as well as casual ones – a constant outlet to express their feelings about their team. Once, these fans would call into their local sports radio station to express their joys and frustrations – and only other listeners would hear them. Now, fans can join a team’s Facebook page, follow the Twitter feed of a team or favorite player, follow various blogs or create their own to express their feelings or provide information to other fans. The Indians created a specific outlet and connection to social media gurus in their city. The Tribe Social Suite, a 12-seat area with WIFI specifically for bloggers and social media users, is designed to create positive buzz. Those that get placed in these seats are treated like more traditional media and provided with press kits, a media guide and press releases. They are free to tweet, blog and communicate with their followers during the game. The only caveat is they don’t get access to the players. Part of the allure of social media is that you really can’t control it, and smartly, the Indians aren’t trying to control the message. Instead, they are trying to use it to generate ticket sales and brand awareness. They also are putting Twitter and Facebook to work. 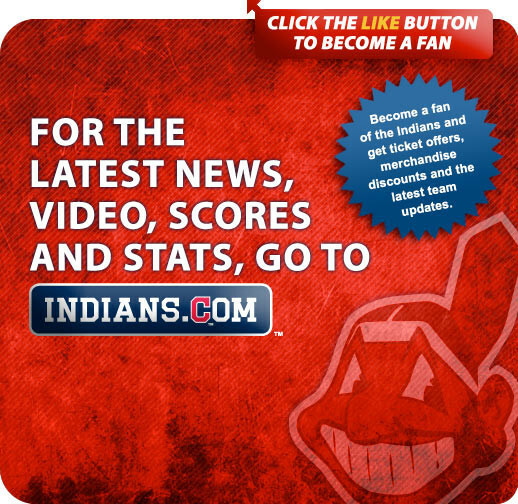 There are special offers on the team’s Facebook site plus a partnership with MLB.com and their AtBat’11 app to provide fans the option to check in at the ballpark to receive special discounts. This is not a short-term strategy by any means, since PR and media of any kind takes time to build in a way that will convert positive feelings to ticket purchases. However, the Indians are on the forefront for sports teams, and other organizations can learn from what Cleveland is doing. CPG companies have been doing this for quite some time on Facebook, Twitter and brand websites. Your loyal fans and buyers are your best advocates, so why not use them? What’s more, giving a little love to these people will help them get over any disappointments they have had with your brand. Sports teams are no different, although it helps when the team is winning. Giving loyal customers incentives to get them to buy a product or a seat at a game is a great reward for being loyal, particularly when the fans are so frustrated with their team they don’t want to go and see them play . It may be easier to get these lapsed customers back than trying to attract completely new ones. Maybe the Jacksonville Jaguars should have been trying this the last few years as attendance dwindled. New fans are great, too, but harder to get. Cleveland is tapping into not only brand loyalists, but vocal advocates to promote the brand which the organization hopes results in getting more people in those seats. One other point – you have to admit that getting to sit in the Social Media Suite is going to be considered cool among fans. A devoted fan is going to love the experience. These fans feel like they are now important VIPs. They are elevated to their followers but also to the franchise in their eyes. This experience will likely result in them becoming even more devoted. As I stated earlier, when brands try and control the message too much, they are seen as inauthentic. The point of social media is to engage and interact with your customer, and if you are too controlling about what is posted or said, you will lose those wanting a true outlet to express how they feel about the product or to get information. Interestingly, by putting these bloggers in seats and treating them with respect like other “official” media, it makes it harder for these bloggers to see the Indians in a negative light. OK, I admit this is hard for organizations to do when funds are low. Going to more tried and true methods to incent purchase is the obvious strategy. However, with risk often comes reward, and if you aren’t generating revenue the traditional way, then why not try something completely new? Cleveland had little to lose and much to gain. I have worked at organizations that were simply too afraid of what the consumer would say about their product to engage in true social media. “What if they complain or say they hate the product?” my manager would ask. Truthfully, I wanted to answer, “So what?” But the real answer to her was that the point was to engage people in a conversation and provide restitution and a different product experience to move their opinion. Consumers don’t want the usual “buy me” advertising message, regardless if it is a product, service or entertainment. They want a voice and to interact, and to get there, you need to take risks. Once upon a time PR was about press releases and media outreach. It was about creating opportunities for someone to talk to the press about the brand and its initiatives to get the message out there. PR folks would reach out to the media, schedule media tours, etc. That still has its place, but social media has changed that landscape and media now means bloggers and online influencers as well. While working on infant products, we found that there was no one more important to speak about our products than the mommy bloggers. They got our message out faster and better than any advertising campaign. They connected with their audience, provided free samples and became wonderful advocates for the products. We made sure to allow moms to have a voice on the brand Facebook page if there was a product issue. The Cleveland Indians recognize that media for them will go beyond the press in the press box. Having someone say, “I had a great time at the Indians’ game yesterday. This is better than I remember,” will go further than any advertising campaign. 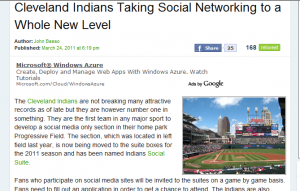 Example of a local Cleveland Blog talking about the Social Suite. OK, but how does this really result in people putting their butts in the seats, you ask? People want a good time and they want to root for their team. 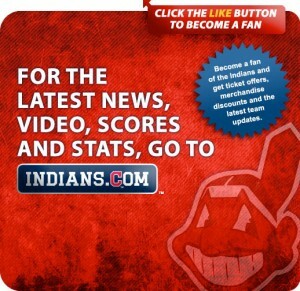 This effort provides positive buzz about the team, which in turn provides people an incentive to go see the Indians. They have also done something smart by creating discounts, incentives and offers for those that follow and participate in the social media. The positive PR combined with sales incentives is the perfect combination to generate revenue. Realistically, this will be something that will grow over time, but if they put in the right vehicles to measure the success, they can see what is working and what isn’t and how much revenue it is actually generating. With those answers, they can tweak the format to ultimately drive a favorable ROI. The good news for the Indians is that they are winning again which is going to start to fill the stadium, but with their added social media initiative they are in a win/win situation. Word has it that it is working for the brand loyalists, but is slow to build for new fans. It will be interesting to see if this idea catches on with other sports teams and how Cleveland expands and adjusts the program in the future. Believe me, if the Red Sox start doing this my husband will be first in line to participate. As a former sports writer he always dreamed of covering the Red Sox. Stay tuned. When I get the chance I like to highlight great examples in the area of integrated marketing. One I recently have come across is a new brand relaunch campaign for Keds footwear. In an attempt to revitalize their brand and make them hip to the 18-24 year old demographic they have pulled all the pieces together, integrated multiple relevant touch points and did it methodically over multiple years to grow interest. So, what exactly is Keds doing? First of all they have clearly defined their target audience (Adults 18-25) and are going after them in ways that make sense. What’s more, they have been building up to this campaign for 2 years laying the groundwork including revamping the website, initiating fashion partnerships and joining forces with museums and retail outlets. Keds also started a new advertising campaign in 2009 as a way to reintroduce the brand and it’s positioning to their target demo. Keds has created a multi-faceted campaign with elements that should resonate with this target. For starters, they are using influencers on college campuses to create excitement. Specifically, they are targeting large campuses with strong arts and fashion programs which coincides with the individual style and creativity elements of the promotional campaign. These school choices clearly make tremendous sense. They are also using significant social media to generate interest and interaction with the brand. A mobile vehicle in the shape of a shoebox will be visiting college campuses in nine US cities. The vehicle includes interactive touch-screens where visitors can watch videos of local artists, locate Keds retail outlets and learn about charity organizations that Keds is working with. Also included is a gallery of Keds shoes inspired by each city being visited. Outside the vehicle there are multiple activities including a kiosk where students can design and then purchase their own Keds. A shoe-design competition that includes a $1000 prize for the winner and a $5000 donation to an art-based charity of their choice. Charity component where Twitter users can post messages describing what inspires them about their city. For each post $1 will be donated to a local art-based charity in that city. Local artists in each city will use the sneakers as a canvas and will also create a mural on an 8-foot canvas inspired by the Twitter postings. YouTube campaign with video from the tour and the artists participating in each city. A fashion show will take place in each market using local models wearing Keds shoes and clothing from local designers. They will also include performances from local bands and DJ’s. Student ambassadors have been hired for each campus to promote the events and help run the local elements. Advertising campaign featuring charitable and art-based initiatives. The website pulls all of these elements together very well and each of the different activities is clearly identified. This campaign has just kicked off and the Facebook page and Twitter feeds are already talking about it. The PR plan is not totally clear, but it is apparent that the PR folks are working hard as they landed a big NY Times article, local newspaper interviews and numerous blog posts. However, I couldn’t find an actual press release. Integrated marketing leverages the right promotional and advertising vehicles to achieve the brand’s goals. If the goal here is to broaden appeal and reintroduce this iconic brand to the target I think they are doing and effective job of using integrated marketing. It remains to be seen how successful it will be as this is just launching, but from an integrated marketing perspective it is a great example of how to do things the right way. For more details you can also read this NY Times article.